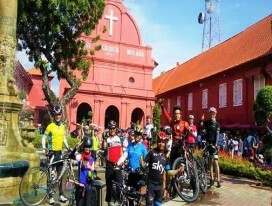 Cycle from Batu Pahat to Malacca via Muar on this trip, allowing you to experience the best of both towns. Please refer to our rooming policy before booking. Cycle from Batu Pahat to Muar and from Maur to Malacca on this trip, allowing you to experience the best of both towns.